On 11th May, Coria del Rio put on the inaugural screening of the documentary Las Huellas del Samurai, produced by Cinnamon Factory along with the assistance of HJAPÓN. The documentary celebrates on the 150-year bilateral relationship between Spain and Japan. Las Huellas del Samurai focuses on the origin of the ‘Japón’ surname, a footprint left behind by the Keicho Embassy which reached the shores of Spain 400 years ago. The documentary is on its way to being recognised by the Goya awards, and could also reach Oscars territory. The documentary saw the collaboration of over 400 individuals linked with the surname, like the former referee José Japón Sevilla who is currently the Honorary Consul of Japan in Seville, or the CEO and co-founder of HJAPÓN, Marcelo Japón, the journalist Cristina Cubero who is the Director of External Relations of Mundo Deportivo de Grupo Godó, as well as individuals from Andalusia such as the artist Cristina Hoyos. 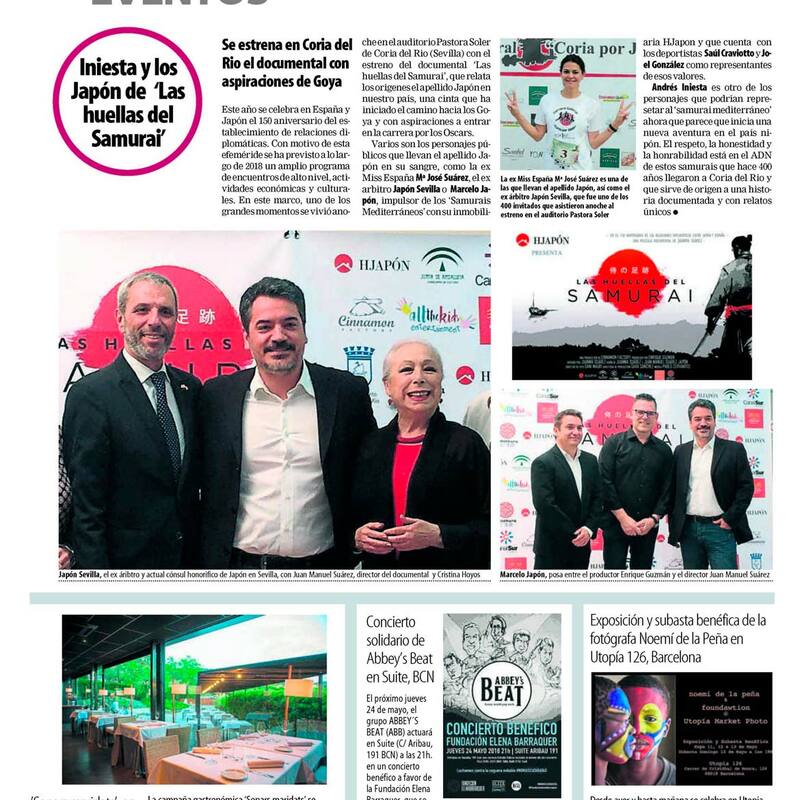 The newspaper, Mundo Deportivo, wanted to re-iterate the success of the event and the documentary on their website, in addition to mentioning HJAPÓN’s ‘Mediterranean Samurai’ project which has always sought to link the fundamental shared values between the worlds of sport and business.